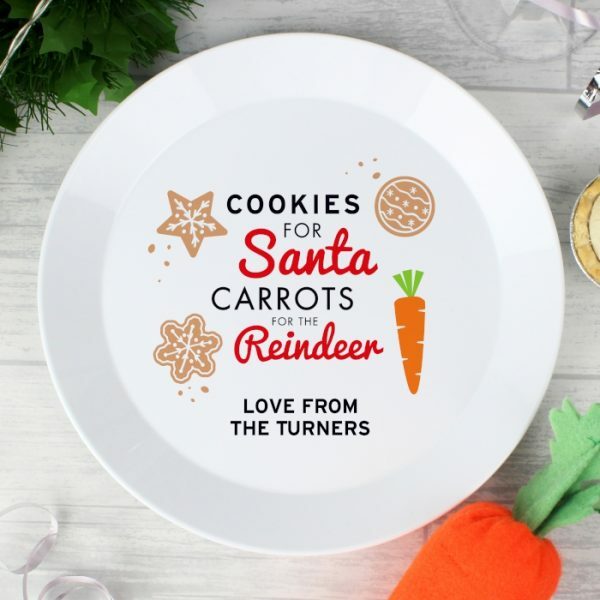 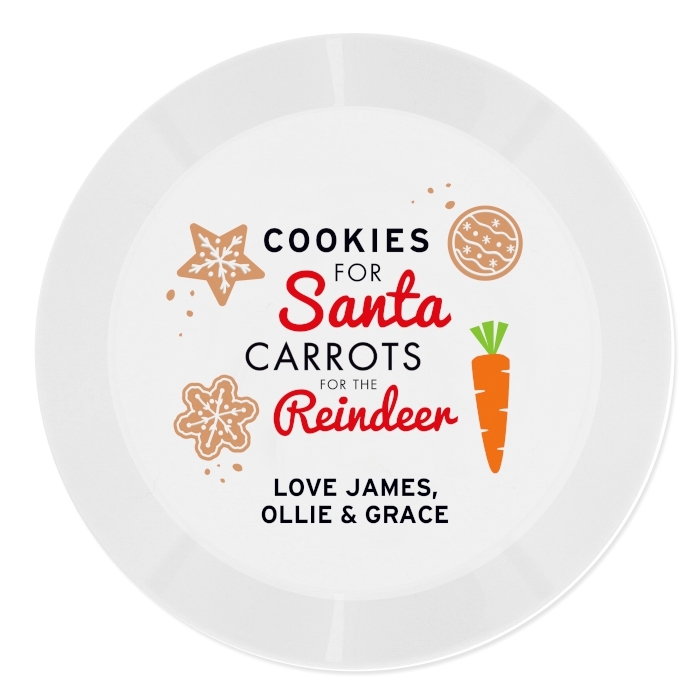 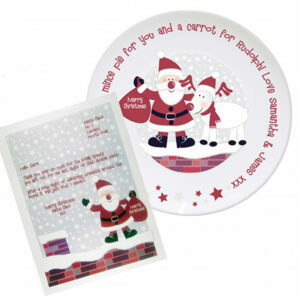 Leave Santa and Rudolph a tasty treat on Christmas Eve with this fantastic Personalised Cookies for Santa Christmas Eve Plastic Plate. 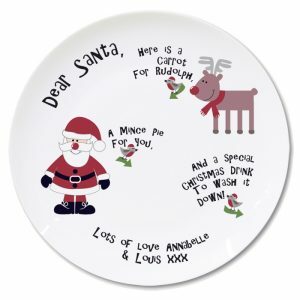 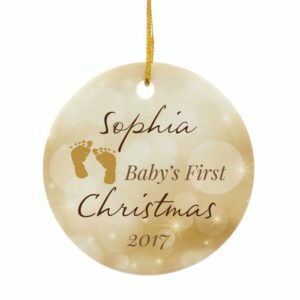 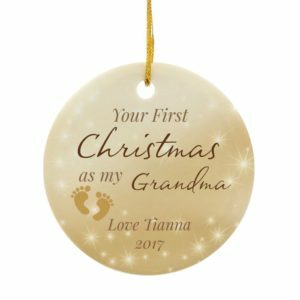 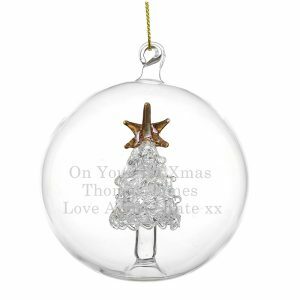 You can personalise this plate with 2 lines of 15 characters each, along the bottom – just add the details to be printed in the notes section during the payment stage. You can personalise this plate with 2 lines of 15 characters each, along the bottom – just add the details to be printed in the notes section during the payment stage. 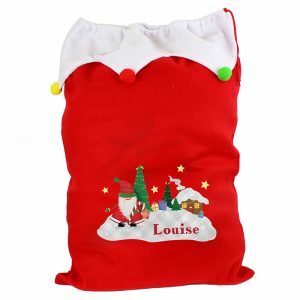 All personalisation will appear in fixed upper case. 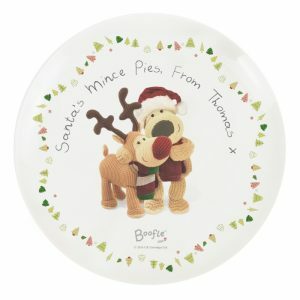 The plate is plastic and shatter resistant. 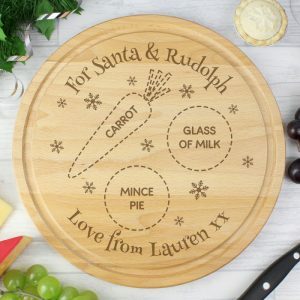 The plate measures 19cm across.